Official Peter Rabbit soft cuddly toys. 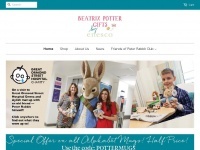 Gifts, Collectibles and the exclusive Friends of Peter Rabbit Collectors Club. Great Ormond Street Collection available. 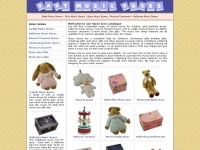 Beatrix Potter Gifts by Enesco is specified as the websites creator. Between.co.uk - Great Gifts and Cards from In­te­resting Gift Sto­re ..
Teddybearfriends.co.uk - Buy teddy bears on­li­ne at Teddy Bear Friends. Top ..
Beverleyhillshome.co.uk - Lu­xury Home Acces­so­ries | Con­tem­po­rary Bathroom ..